The much-anticipated, brand-new Regency romance from New York Times bestselling author Katie MacAlister. 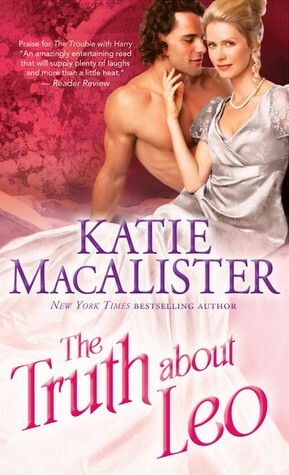 THE TRUTH ABOUT LEO by Katie MacAlister is a brand-new Regency Historical romance. #4 in the “Noble” series, but can be read as a stand alone. Witty, a bit of danger, lots of sensuality, with the right mixture of adventure and romance. This story will have you turning pages. Mayhem, humor and fun, what can go wrong? To be honest, if you are looking for suspense, you won’t find it here, but if you are looking for an enjoyable read with memorable characters then you are in the right place. The secondary characters are engaging as well as the main characters. They have a bit of a sideline story going on as well. An enjoyable read! Received for an honest review from the publisher.